He continued, "And my second question is, with Venom returning in the pages of Amazing Spider Man in a few months, and with Carnage getting his own mini series for his return, any chance Toxin could show up at all? I feel like Toxin has a very unique vibe in the Marvel universe and that an on-going or even mini series about him and other symbioses would be great. I would love to learn more about the symbiotes and their home world and I'm sure other people would be interested too." Alonso: I think this is a question for the new Spider-Man editor, Steve Wacker… Steve? 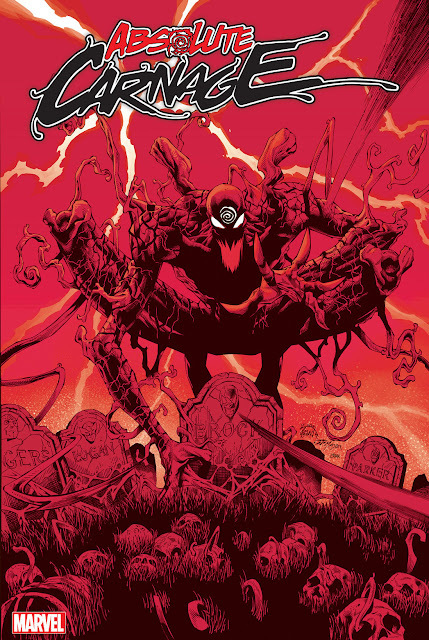 Steve Wacker: I love Toxin…a lot. Hmmmm...Now that doesn't in anyway say that Toxin is coming back any time soon, but it is nice to know that the editor of Spider-Man is a fan of the youngest symbiote. Being that he is new, maybe he will find a way to have Toxin aid Spider-Man in a future arc. I don't necessarily need an on-going Toxin series, but I would like to see him incorporated in more stories. Once the Carnage mini ends, should Toxin be brought back to stop her? How do you guys feel about Toxin?